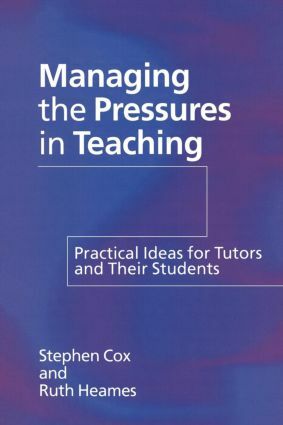 A lively, accessible, and practical book of suggestions for ways in which tutors can manage their workloads (and stress levels) and help students manage theirs. The ability to cope with stress is not merely a question of 'making it through the day'. When pressures are managed effectively the need not contribute to the burden of maintaining standards in a time of diminishing resources. resources. Aimed at teachers in further and higher education, it will also be of benefit to school teachers.